We accept all other health funds. 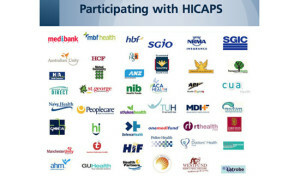 If you happen to be in a health fund that is not Medibank Private, Bupa or Commonwealth Bank, it doesn’t matter, you are still eligible to fast claims on the spot with Hicaps and we can swipe your card and simply charge you the gap. Convenience- You don’t have to pay up front and claim it back at an outlet. We will simply let you know the gap once we have swiped your card. Lower costs- Using your health fund allows you to offset a proportion of the costs for your treatment. How much will depend on the health fund and the level of cover you have taken out. Only your Maroubra dentist can provide you with this information since they will be the ones examining you and the cost of the item numbers will vary from dentist to dentist. If you head into the city, you can expect the fees to be substantially higher. You health fund won’t take this into account, which means you end up paying more out of your own pocket. We provide excellent treatment and are super friendly with it at the industry average fees for NSW. Guidelines are issued every year by the Australian Dental Association and we base our fees on this information. Once you have this information, they will be able to tell you how much you are going to get back allowing you to work out the gap. They’ll also inform you if there are any waiting periods or restrictions on your cover. After we do an examination, we will print you out a plan of any treatment you require. This has everything you need on it for checking the gap so there are no surprises at your appointments. If you do have any questions, then please call us on 02 8003 4647 – it would be our pleasure to help you.